It’s been around for about two years now, but Celcom is making a concerted push for its Celcom First Power plans, which are tailored for businesses. 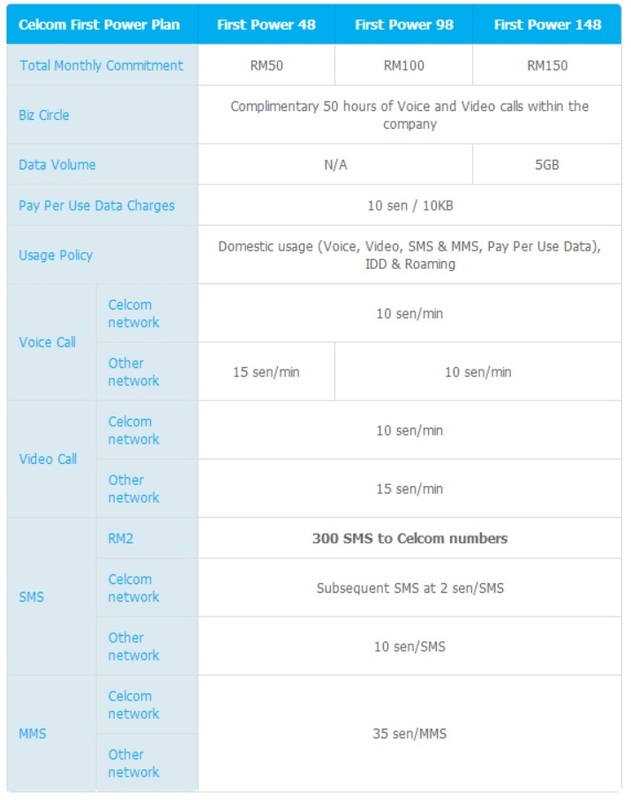 The plan, which offers as much as 5GB of data per month, and competitive voice call rates of 10 sen per minute, also lets you enjoy up to 50 hours of free voice and video calls within the Biz Circle. It is indeed odd that Celcom is pushing hard for a business-oriented postpaid plan. Despite having a dedicated “Business” portal on its website, Celcom has instead included a promotion for the Celcom First Power plans – featuring global super star Jackie Chan, no less – on the “Personal” portal where most of the site’s traffic comes from. Currently, new subscriptions to the Celcom First Power plans will entitle customers to receive two KAX limited edition dolls, which are part of the company’s World Cup 2014 promotions. For more information about the Celcom First Power plans, head on to the official product page here.